If you have an open-plan home, have fun with it. Recognize that it’s not a traditional setting with all the rules that come with tradition. 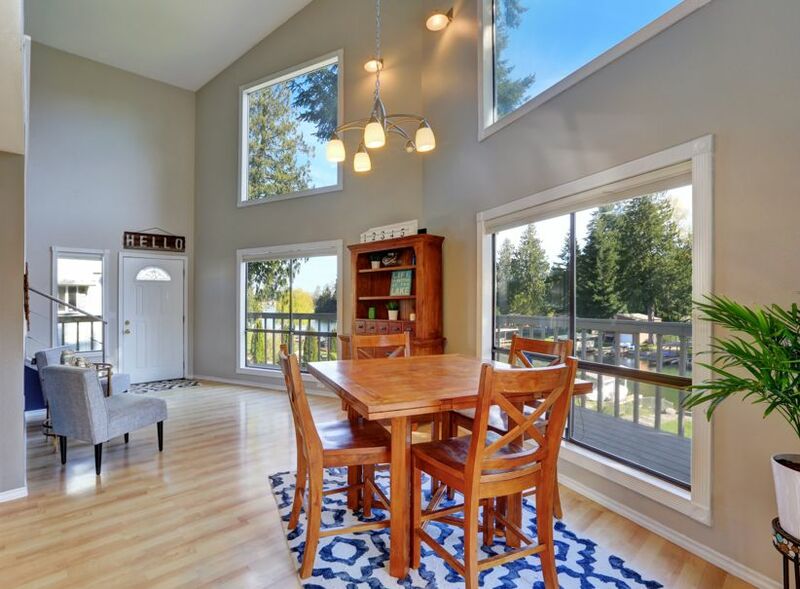 When looking for a home to buy, have you ever walked into a new, empty house that had a large, expansive living area? You liked the house overall, and the environment around it. 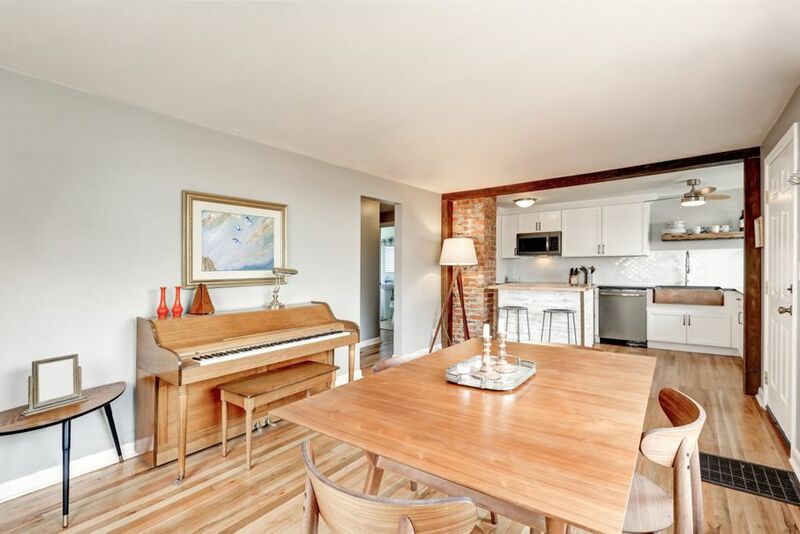 It’s location and price were just right, and the neighborhood was perfect. 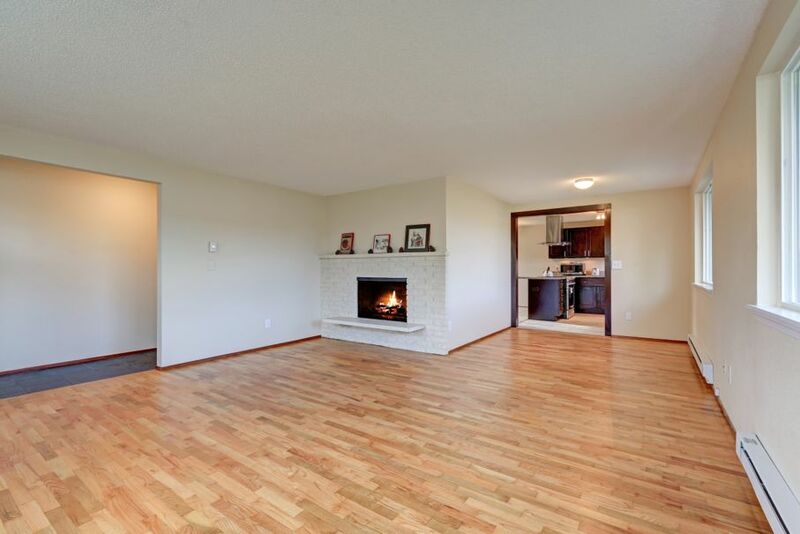 But what to do with that huge living space? There was a modern kitchen that opened into that great big room, but otherwise, it was framed only by a couple of walls reaching up to a dramatic ceiling, an open staircase, a fireplace on one wall, and windows everywhere. There was no defined dining room and no particular place to put a dining table or china cabinet. While daunting at first glance, this open-plan design, so often seen in homes, offers you the opportunity to create the perfect living space for you. It gives you the chance to ignore any furnishing rules established by traditional home interiors, and to do exactly what you want. You can easily make this room a place you enjoy, both alone and with others. Where to Put the Dining Table? Food is usually a focal point of any gathering, whether it’s in the form of snacks, a buffet, or a sit-down dinner. So, when you consider where to put your dining table in this open-plan living area, think about the natural flow within the room and into the rest of the house. How does one get from the front door to the kitchen, from the backyard to the seating areas, and the bedrooms beyond? How does one get from the television to the dinner table? 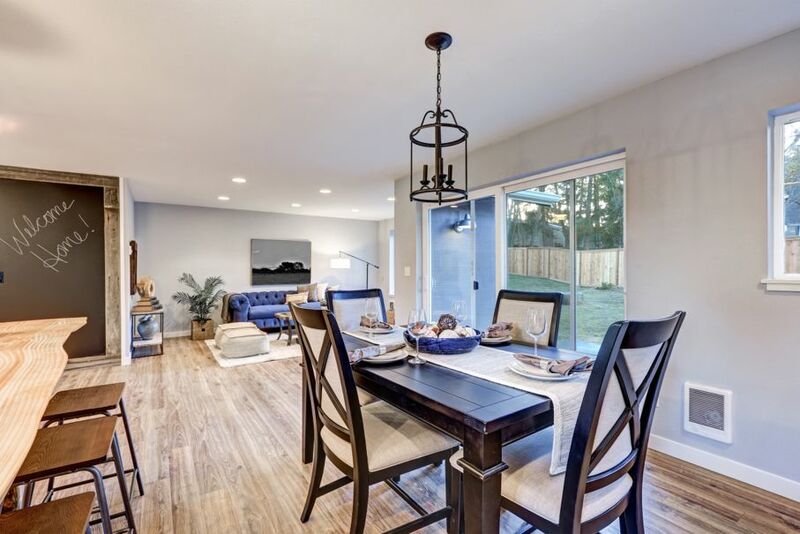 You want the dining table to be a focus in this room, and to be set in a part of the room in which your friends and family congregate, and in which you can enjoy alone with a cup of coffee and a book or puzzle. 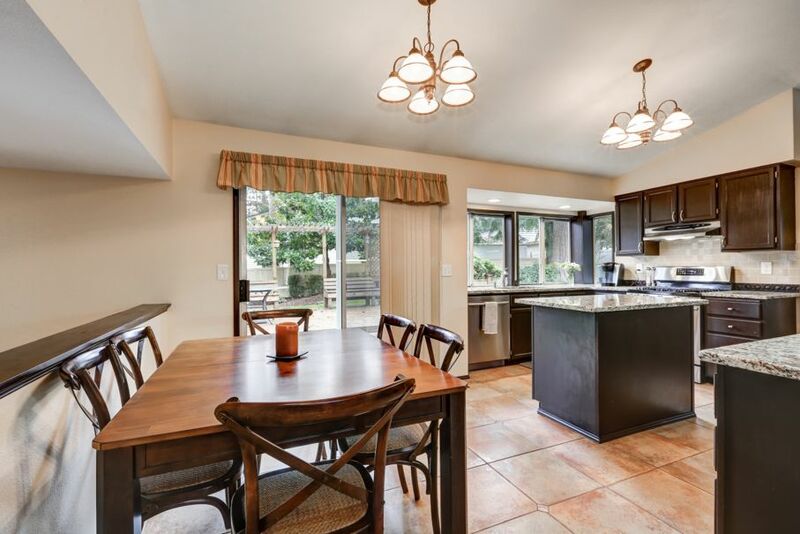 You want the dining area comfortable and inviting in this open-plan living area. It should be a cheerful, happy and welcoming place. Natural lighting is important when you consider where to put the table as you don’t want to have to depend on electric lights when unnecessary. Figure out which window you want the table near. 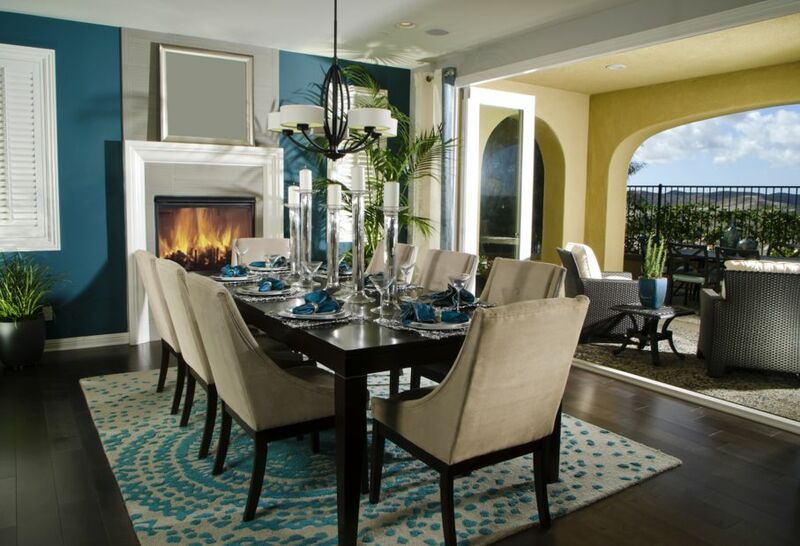 The dining table can even be positioned near the fireplace, or by French doors, if you have them. If the room is a large and long, rectangular one, the dining table can be positioned at its center, with seating areas created on either end. There are no rules. 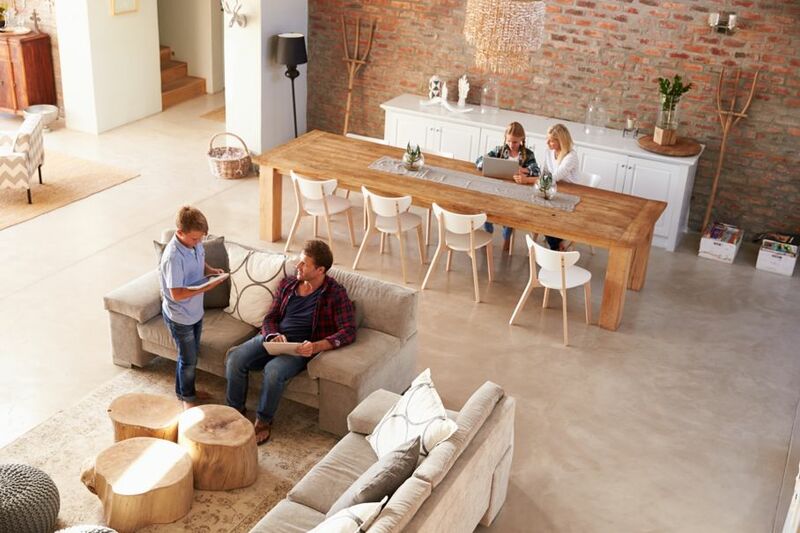 You just want to make sure that there’s a flow (like water in a river) that can easily move between the dining table, the seating areas, the kitchen, and into the rest of the home. This is especially important if you entertain large groups of people. 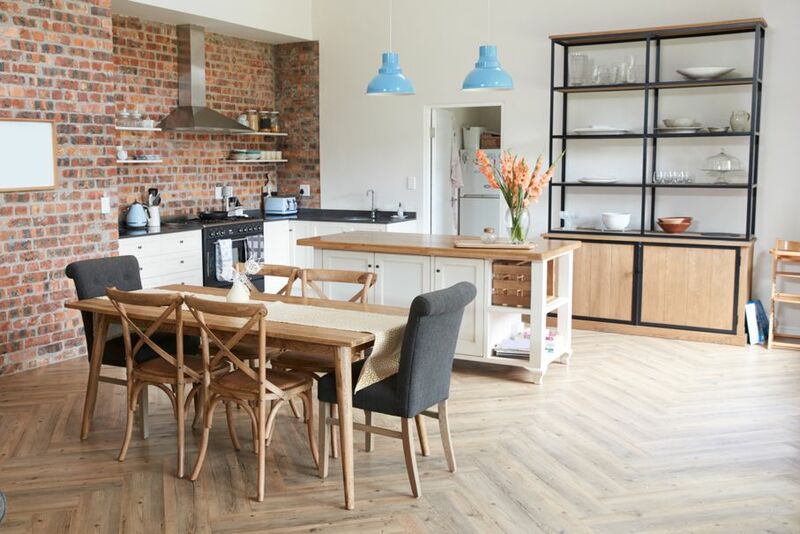 Placing the dining table in an unexpected place in the open-plan room will create energy and a sense of playfulness. You will be surprised. Once you have found the perfect spot, you will need to make sure you have lighting when the sun goes down. There are so many lighting options. You can hang a chandelier or ceiling light from above, as you would in a traditional dining room. On the ceiling or the top of the nearby wall, you can position track lighting that shines where you want on the table. Depending upon the size of the room, you generally can have a table that takes four, six or eight chairs. The table may be a round one that opens into an oval or a square one that opens into a rectangle. Just keep in mind your flow. The open-plan room does demand that the furniture in the seating areas be coordinated in some way with the dining table. It doesn’t have to be the same type of woods and the same fabrics, but there has to be a sense of continuity. Continuity can take many forms. It may be touches of the same colors in all areas of the room. Having the same floor throughout, including in the open kitchen, pulls everything together. Woods or tiles can do this quite easily. The great thing about tiles is that they can subtly include a color that carries through the room. It can be coordinating textures. For example, oak in a dining table coordinates with the casualness and comfort of the leather couch in a seating area. A mahogany wood in a dining table may coordinate with brocade and satin-like fabrics in two love seats in one of the sitting areas. It may also be your collectibles that dot the home, whether they are antiques, handcrafted baskets, or perhaps modern statues or paintings. You have the freedom to be creative. You may still want to define the dining area. You can do that through several ways. You can put a china cabinet of some type next to the closest wall. Or, if there’s enough space, you can put that piece of furniture freestanding near the table, as long as you don’t interrupt the flow. You also can get creative with the painting of your walls, painting the one closest to the table in a bold accent color. You can repeat that color in the kitchen walls, for example, or repeat that color in backsplash tiles in the kitchen. This subtle use of color helps define an area while maintaining its interrelationship with seating areas. If you have an open-plan home, have fun with it. Recognize that it’s not a traditional setting with all the rules that come with tradition. While keeping in mind the need to coordinate styles and colors, think about how to create the unexpected. Find ways to be comfortable as you create a whimsical and cheerful experience.